Members of London Youth include traditional youth clubs, volunteer-led teams and well known charities. We welcome all organisations that work with and support young people in London to join our network. Whilst some members focus on a specific activity, such as theatres and sports clubs, others provide general community-based services. Several cater for specialist groups such as refugees or homeless young people, others work with all young people in their local area. Between them they are a powerful, knowledgeable and vital network for both young people and for the communities in which they are located. 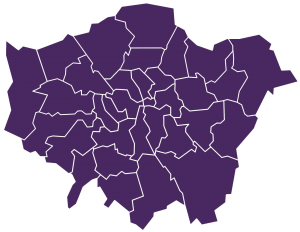 What do you get with London Youth membership? We provide an evolving programme of support to respond to member needs, strengthening youth organisations across London to ensure their ongoing provision of support and services for young people. Our members can access our high quality activity programmes for young people covering social action, sports development, the arts, employability and outdoor education. Every member has a dedicated London Youth Membership Development Officer who gets to know your organisation, the challenges you face and will provide ongoing support.